VéloSoleX owes it’s style to the Italian design house of Pininfarina. VéloSoleX is a foldable model that can be easily transported anywhere you want to go: it’s a big idea in 0.4m²! 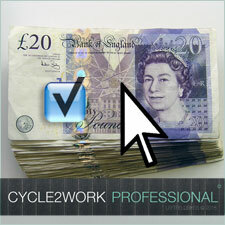 Eligible for our ‘One-Click’ Cycle to Work Scheme? Pleasing to the eye, VéloSoleX boasts high quality components. This is a foldable bike that can be easily transported in a car boot, camper van, boat, escalator and elevator, tube, train and bus… just about anywhere you might wish to go when you’re not riding it! Its delightful appearance is just one of the many striking features the VéloSoleX folder has to offer. These folding electric bikes weigh 22 kg, battery included (2.5 kg). Very easy to handle, VéloSoleX is equipped with a power-assisted system reaching speeds up to 25 km/h (Pedelec norm) thanks to its six pitch power assisted modulation system [two modes “sport” and “low”] and a “Starter” function up to 6 km/h. Autonomy data is displayed both on the handlebar and the battery. The backlit LCD indicator mounted on the handlebar shows speed, distance travelled, remaining autonomy, actual consumption, power mode, time of journey and daily counter. This means of personal transport is both practical and economical. The 24 V-10 Ah Lithium-Ion Polymer removable battery guarantees a power output of 250 W. A complete battery refill takes 5 hours. Its autonomy can go up to 50 km*. 1 battery, 1 battery charger, 1 set of tools, a user manual and 1 set of keys. Suitable for riders of 160cm/5’3″ or taller.